I contributed to this book by Everett McKay. 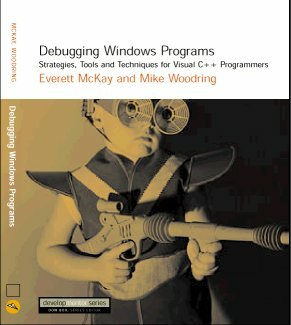 It focuses on strategies, tools, and techniques for developers using Visual C++. Everett's done a remarkable job with this book. I was involved as a technical reviewer from the beginning, then ended up contributing two chapters to the book: chapters 10 (Debugging Multithreaded Programs) & 11 (COM Debugging). Copyright (c) 1998-2000 Mike Woodring. Last revised: May 15, 2000.